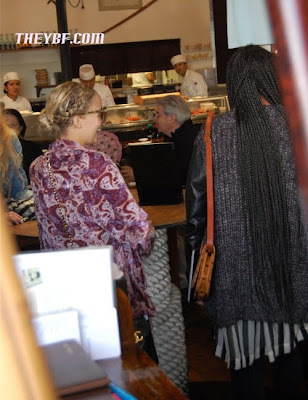 Nicole Richie was spotted (7th Jan) meeting Solange knowles at Izaka-Ya restuarant in West Hollywood. Nicole also lunched with personal friends Erin Foster and Sophia Rossi. And it looks like they had a few laughs! Nicole Richie was wearing a Winter Kate 'Jasmine' silk burnout cardy in Mauve. Source - TheYBF & TFS.